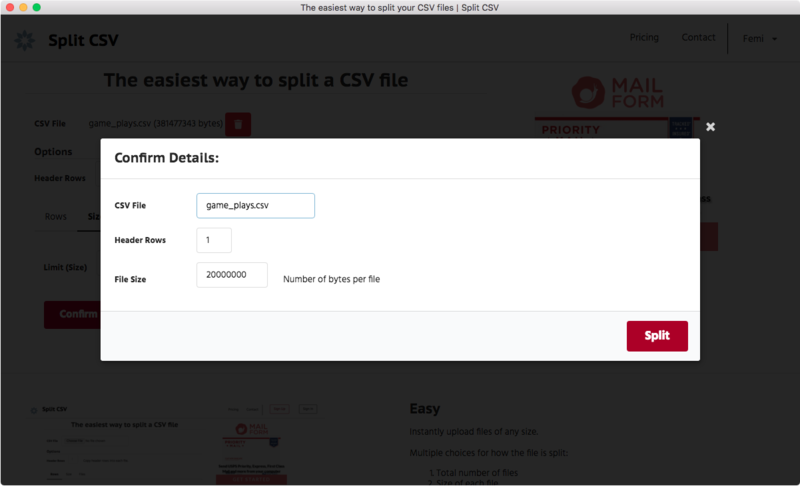 Click the Choose File button and select your CSV file. The file will begin uploading immediately. 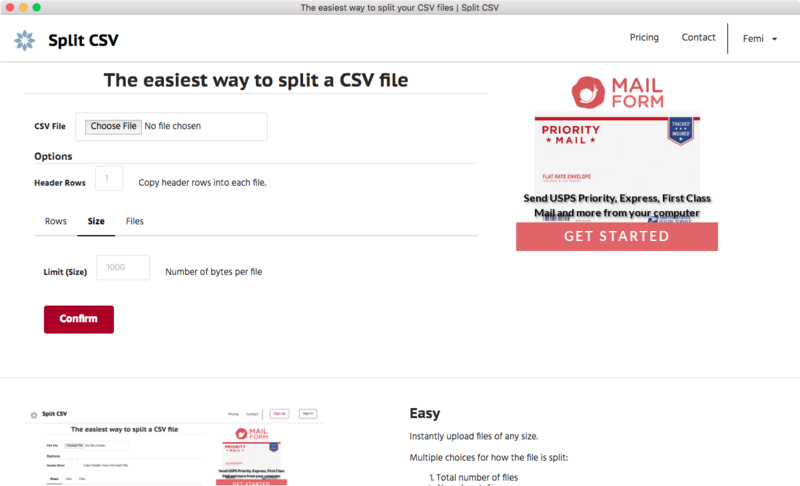 You can choose how to split the file: you can limit the number of rows in each file (by selecting the Rows tab and entering the maximum number of rows in each file), the size of each file (by selecting the Size tab and then entering the appropriate size in bytes) or specify the exact number of files to produce (by selecting the Files tab and then entering the number of files to output). 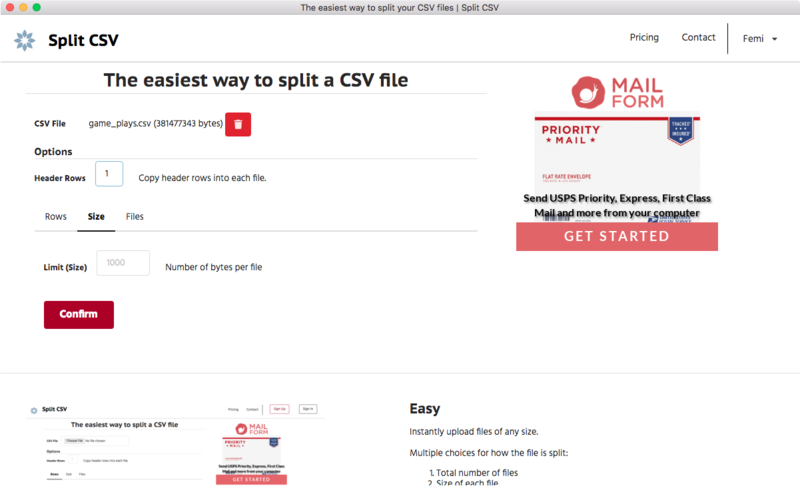 The image below shows an example of limiting the file size. All uploaded files will be kept for at most 7 days before being deleted: depending on volume it could be earlier. 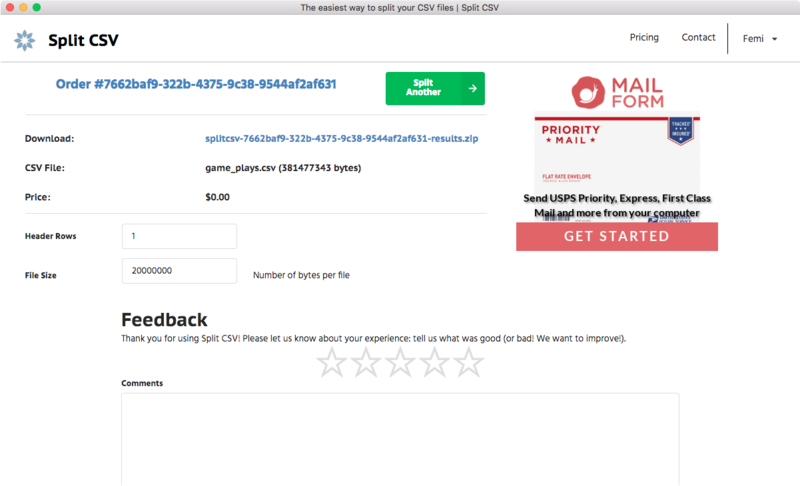 At no time is the original source file downloadable, and the link to download the results will only be available on the receipt page, no where else.